The programme for crooner Gary Williams and accompanist Harry the Piano was an unusual evening for The Crazy Coqs. Gary gave us a tribute to Frank Sinatra, but instead of an hour of songs and anecdote, Gary gave us an initial set of about 35 minutes and then got the audience to fill in request forms, which were collected during an interval and a second set put together in that short time. Also unusual for this venue was his introduction. Rather than Ruth Leon or another member of The Crazy Coqs staff telling us a little about him and bringing him on stage, LBC broadcaster Anthony Davis provided a comic improvisational introduction to the two artists, which led to Harry making his appearance first playing a medley with great virtuosity. This is very much a cruise –ship programme, moving swiftly from one song to another, none sung in entirety, and engaging with the audience at many opportunities. He asks how many years people have been married, judging by applause level the most after a certain year, and uses the date to choose a song from the sheet by and so on. He is personable, charming and we warm to him quickly. There is nothing over-sincere about this man – he comes over as genuine and the danger of this act becoming cringe-worthy is thus avoided. 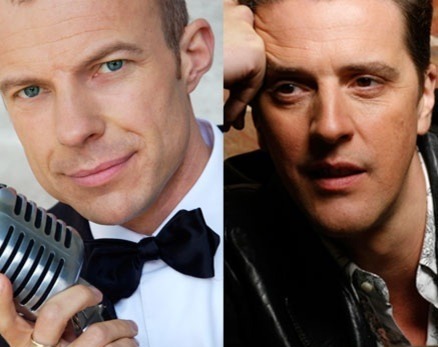 This entry was posted in Cabaret Reviews and tagged cabaret, cabaret reviews London, Crazy Coqs, fiona jane weston, Frank Sinatra, Gary Williams, Harry the Piano. Bookmark the permalink.